The Classic Flame New Tenor Media Mantel 26MMS9726-E451 Espresso120V / 1500W / 5200BTU heater w/fan and adjustable flame brightness has a fixed glass front. It simply plugs into a 120V wall outlet or can be hard wired. Safer Plug™ Included, 5 flame colors and speeds in the Spectrafire® package. This electric fireplace has high-intensity realistic LED technology, and has a timer for up to 9 hours. 1 Year limited manufacturer’s warranty. This beautiful TV stand features a transitional style that seamlessly integrates with a variety of room styles. Wirelessly stream audio with any Bluetooth®-enabled device from anywhere in the room. Experience rich sound with 4 main speakers, 2 tweeters and rear facing passive bass ports and a powered subwoofer. An open center shelf is perfect for media component storage. Side cabinets feature glass and wood framed doors with two adjustable shelves in each cabinet, perfect for customized storage. 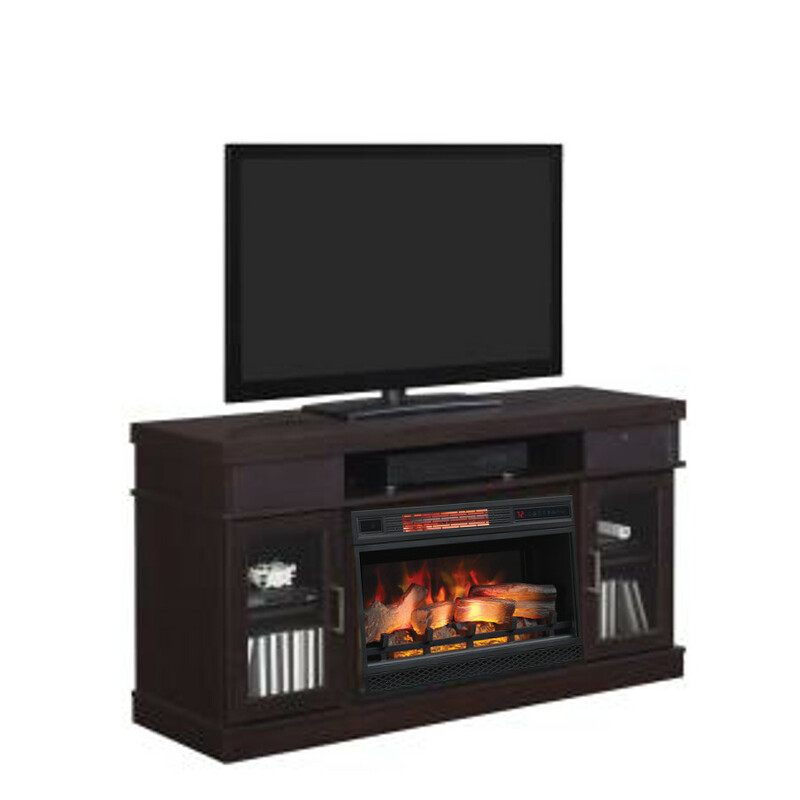 The Tenor TV stand complements a ClassicFlame 25″ or 26″ electric fireplace insert. Simple, hassle-free assembly with just a Phillips head screwdriver.